Put the dumplings in hot salted water and let them cook for 12-15 minutes and this speciality is ready to eat. 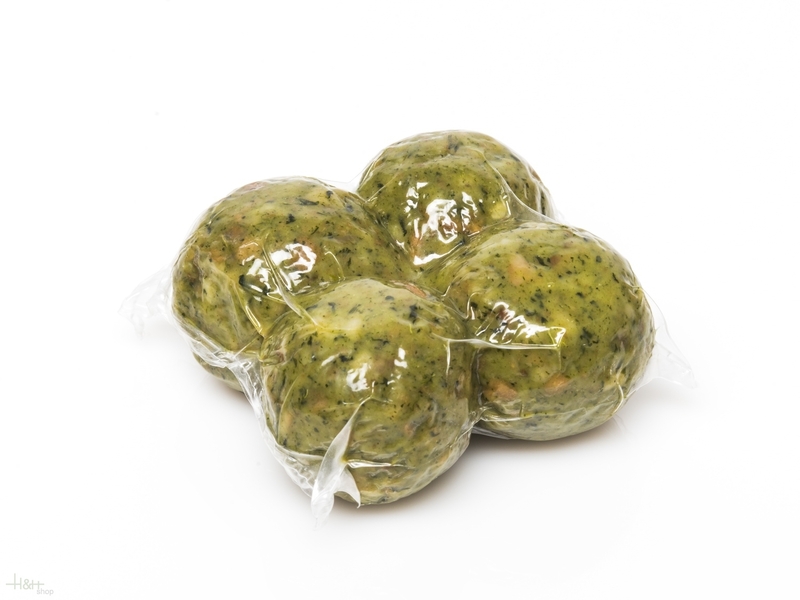 Buy now this product together with South Tyrolean bacon dumpling Villgrater 6 pc. - appr. 470 gr. South Tyrolean bacon dumpling Villgrater 6 pc. - appr. 470 gr. ready for shipment: in stock South Tyrolean bacon dumpling Villgrater 6 pc. - appr. 470 gr. Beef salami Steiner approx. 320 gr. Exclusively of beef made salami, a delicacy in the raw sausage. The careful production and the natural maturation lend a special mark to this product. Hunter's Tea Herb Liquor Roner 1 lt. - South Tyrol 23,45 EUR / 23,45 €/lt. South Tyrolean bacon dumpling Villgrater 6 pc. - appr. 470 gr. 7,55 EUR / 16,06 €/kg. South Tyrolean Venison goulash 500 gr. - Bernardi Karl 17,70 EUR / 35,40 €/kg. Bacon Speck dumplings 4 pc. approx. 320 gr. - Butchery Steiner 6,95 EUR / 21,72 €/kg.